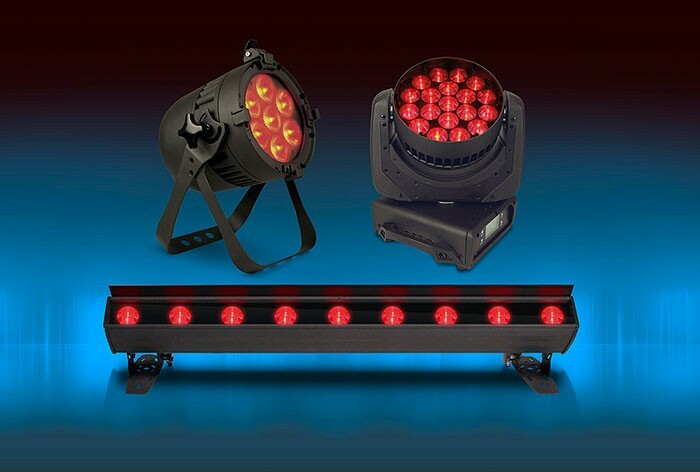 Featuring exceptional build quality, performance and reliability, the new Vision LED range will be receiving its worldwide launch at PLASA London. Showing on the stand of exclusive UK distributor, A.C. Entertainment Technologies Ltd. (stand P40), the new Vision LED family delivers real value for money. The product range can also been seen in action providing sole illumination of the stand (Q50) for industry-sponsored racing driver, Jack Goff – currently competing in the 2013 Dunlop MSA British Touring Car Championship (BTCC). Each Vision product is manufactured using quality components, processes and materials, then tested to the very highest standards to deliver reliability and satisfaction time and time again. The Vision LED family features a 16° Par, a 1 metre batten, and a zoomable moving wash, each using 10W RGBW Multichip LEDs and delivering powerful and consistent performance. Stop by the AC-ET stand (P40) or the Jack Goff Racing stand (Q50) to see the Vision family in action and receive a hands-on demonstration. For more information visit www.visionentertainmentproducts.com or call +44 (0) 1494 446000. In picture: Vision LED family.